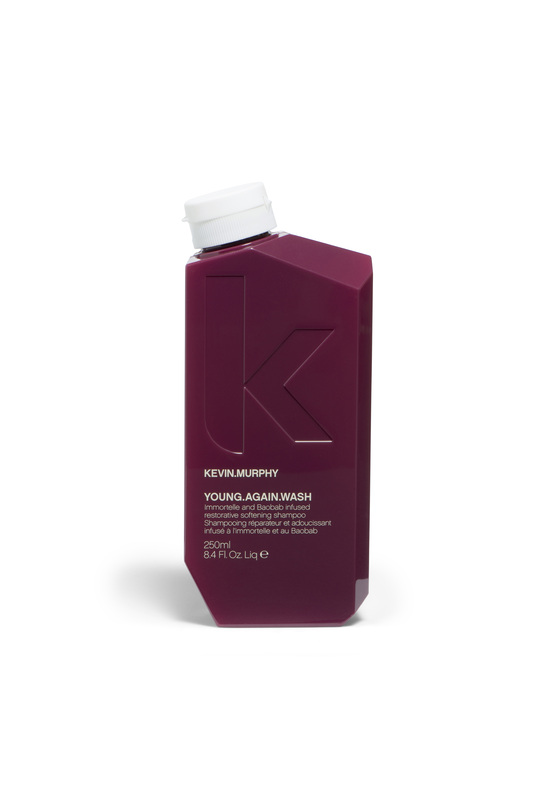 In order to help combat the aging process of hair, KEVIN.MURPHY has introduced an entire new line of YOUNG.AGAIN products. Composed of a WASH, RINSE & MASQUE, this new line of anti-aging hair care is designed to help renew youthful lustre and shine to dry, damaged or brittle hair. 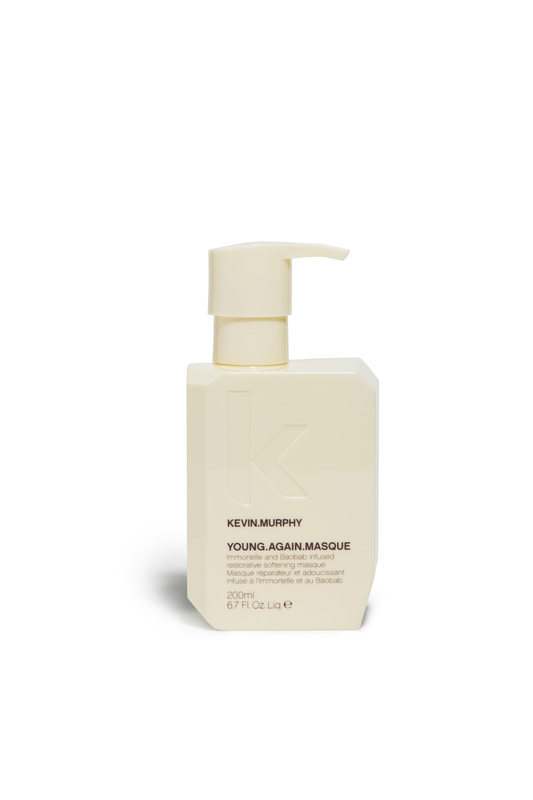 Ingredients chosen for their longevity and resilience to renew youthful lustre and soften dry damaged hair, make up YOUNG.AGAIN.WASH, YOUNG.AGAIN.RINSE & YOUNG.AGAIN.MASQUE. Immortelle and Baobab infused restorative softening shampoo. Gently cleanses and preps the hair to receive the essential ingredients of the masque and the rinse. Immortelle and Baobab infused restorative softening conditioner. Formulated to lock down the cuticle and lock in moisture. Immortelle and Baobab infused restorative softening masque. Addresses all three factors that relate to the premature aging of hair. shown to flourish despite the harsh climatic conditions.